The novelty and dynamism of Internet and ecommerce have lead to the revision of the classic paradigm of consumer behaviour and to the continuous study of individuals’ conduct in virtual environments. In this context, the literature on Internet has placed special attention on the development and testing of theoretical models aimed to describe and explain e-commerce acceptance by final consumers. In this sense, two theoretical frameworks stand out as the most relevant and widely used approaches in e-commerce adoption literature: the Theory of Planned Behaviour (Schifter & Ajzen, 1985; Ajzen, 1991) and the Technology Acceptance Model (Davis, 1989; Davis et al., 1989). Both models are based on traditional theory of consumer behaviour and focus on individuals’ attitudes and beliefs about e-commerce and virtual transactions. However, TPB and TAM differ in the variety of explanatory variables they include and in the identification of beliefs considered as determinants of individuals’ attitudes towards a behaviour or technology. The Theory of Planned Behaviour, the Technology Acceptance Model and the Decomposed Theory of Planned Behaviour are described next. 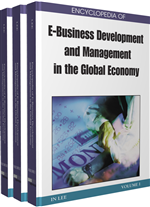 In addition, the most important studies carried out in the field of e-commerce which are based on these theoretical frameworks are analysed. The Theory of Planned Behaviour (Schifter & Ajzen, 1985) focuses on those conducts in which the individual is influenced to a certain extent by the availability of certain requirements and resources. The TPB considers intention as the best predictor of behaviour, as it expresses the effort that individuals are willing to make to develop a particular action (Ajzen, 1991). Likewise, the model identifies three types of determinants and explanatory variables of the intention of behaviour: attitude towards behaviour, subjective norm and perceived behavioural control (Figure 1). The attitude towards behaviour refers to the overall disposition, favourable or unfavourable, towards the development of this conduct and it is the result of the individuals’ beliefs with respect to the behaviour and its consequences. On the other hand, the subjective norm reflects the effect that other people’s opinion –family or friends, among others– has on the consumer’s behaviour. Finally, perceived behavioural control represents the individual’s perceptions with regard to the presence or the absence of the necessary resources and opportunities to develop the conduct. The Theory of Planned Behaviour has been extensively used and supported in research on the Internet and e-commerce (see Rodríguez-del-Bosque & Herrero, 2005). Particularly, this theoretical model has been taken as a reference to examine the acceptance of the Internet as a shopping channel (Limayem et al., 2000; Keen et al., 2002; Bosnjak et al., 2006; Herrero & Rodríguez-del-Bosque, 2008), the adoption of shopping through mobile telephone systems (Khalifa & Cheng, 2002) and the use of a shopping robot (Gentry & Calantone, 2002). On the whole, the empirical evidence obtained by these studies has supported the validity of the TPB to explain e-commerce acceptance. Perceived behavioral control: Individual’s perceptions with regard to the presence or the absence of the necessary resources and opportunities to develop the conduct. Attitude towards behavior: Overall disposition, favorable or unfavorable, towards the development of a conduct, resulting from the individuals’ beliefs with respect to the behavior and its consequences. Facilitating conditions: External resource constraints to develop a behavior (Triandis, 1977). Subjective norm: Effect that other people’s opinion –family or friends, among others– has on the consumer’s behavior. Acceptance model: Theoretical structure that models and explains how users come to accept and use an innovation, technology or information system. Self–efficacy: People’s beliefs about their capabilities to produce designated levels of performance that exercise influence over events that affect their lives (Bandura, 1994). Perceived compatibility: Degree to which a new technology meets the habits, values and needs of the potential adopter (Rogers, 1983). Perceived ease of use: Degree to which the user expects an information system to be free of effort (Davis, 1989). Perceived usefulness: User’s subjective probability that using a specific system will increase his or her performance in a particular activity (Davis, 1989).